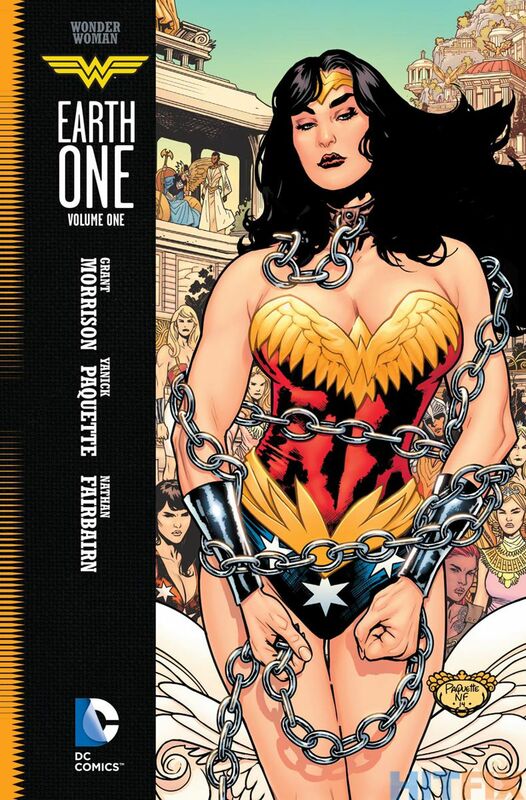 It’s very convenient that Grant Morrison and Yanick Paquette’s long gestating Wonder Woman: Earth One should be released so soon after the character’s debut in Batman v Superman: Dawn of Justice (2016) (read my review here). Many viewers of that film will want to jump into a Wonder Woman comic and test out the source-material. Earth One in many respects is a great jumping on point, but also isn’t. It’s an absolutely fantastic, well-written, beautifully illustrated origin story for Diana Prince; but it’s also veeery different from the Wonder Woman we see in the film, and will see in her future solo film. For new readers who want the classic Wonder Woman, I’d suggest George Pérez’s classic run or Greg Rucka’s newer stuff. In many interviews, Grant Morrison has talked about how he had gone back to the original Marston issues of Wonder Woman and discovered a very different character; one swamped in the sexual kinks of it’s author, a purpose-built icon of feminism, and a champion for the queer. Whilst Marston’s original creation might not fly in today’s feminist world, Morrison has re-incorporated these elements into the character for his new origin story. Diana’s curiosity gets the better of her. The result is a graphic novel that celebrates alternative sexuality, the queer, and feminism in the modern world. 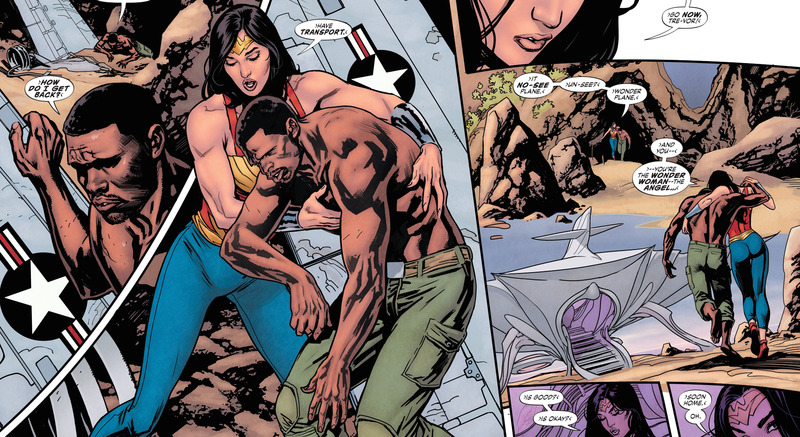 It’s an undercurrent that informs many of Diana’s interactions with people, from her first hilarious meeting with Steve Trevor (the first male she’s ever seen in a lifetime of thousands of years), to her understanding of consenting submission as an ultimate expression of compassion and care. 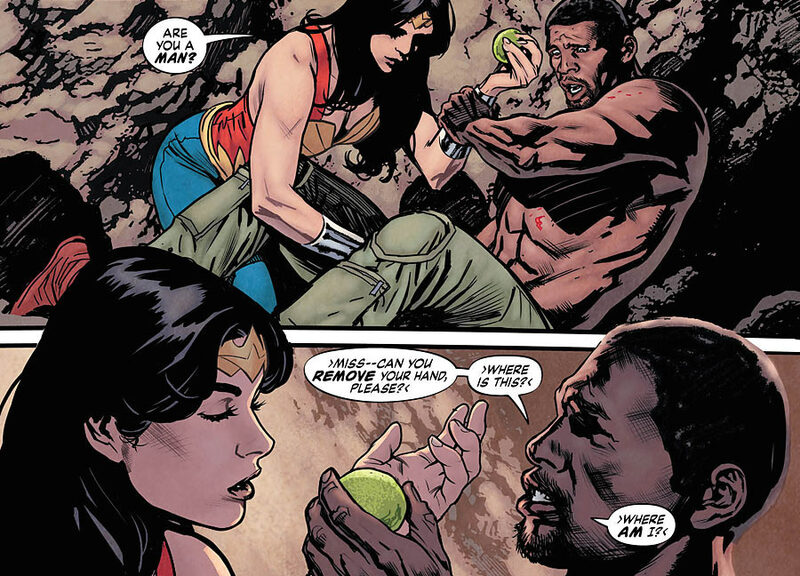 The book never feels exploitative of it’s subject matter, something that the comics industry of today could easily have done, and it results in a book that manages to capture the essential characteristics of Wonder Woman in the same way that Grant Morrison captured Superman in his epic masterpiece, All Star Superman. Earth One will especially appeal to readers who are bored by the standard brawling superhero narratives and want something a bit more introspective and thematically resonant with their own lives. I can’t recall a single fist being thrown by Diana. 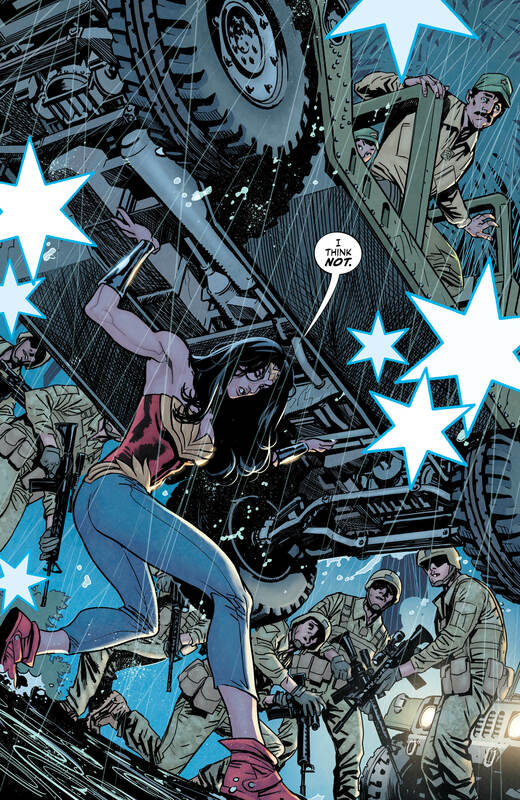 There is very little action in this comic, and some of the best moments in the narrative are seeing how Diana handles situations that male characters such as Superman or Batman would solve with their fists. Diana’s essential characteristic is that she sees the best in people and wants to take care of them, to protect them from harm. She is the definition of compassion, and her views on the modern world are extremely prescient in this day and age. Earth One isn’t without it’s minor flaws. Elizabeth Candy, a minor supporting character who teaches Wonder Woman a few things about the place of women in “man’s world,” isn’t a particularly deep character. She basically serves to teach Diana about the modern world and beyond that doesn’t have much of a relationship with her despite assertions that she and Diana are great friends. Another minor quip is that this volume feels very much like the first act of a three act origin story. That’s nothing to complain about, as Morrison and Paquette have said they’d love to do further volumes, but by the time I finished the book I just wanted the next one. One last criticism is one that I have for the rest of the Earth One books too. I don’t feel this is a very cohesive universe at the moment. None of the books have made any effort to integrate with each other. And whilst there hasn’t been much published just yet, the line started in 2010 and the books have yet to come together. In the upcoming volumes, I would like to see some references to previous events on this world peppered in for the eventual Justice League: Earth One. Paquette’s Paradise Island is an absolute marvel to behold. Paquette’s artwork in this slim volume perfectly captures Morrison’s ideas and plot, with stunning panel layouts and beautifully composed panels. Paquette really is one of the best artists in the business, and his beautiful art is complemented by Nathan Fairbairn’s stunningly rich colours. 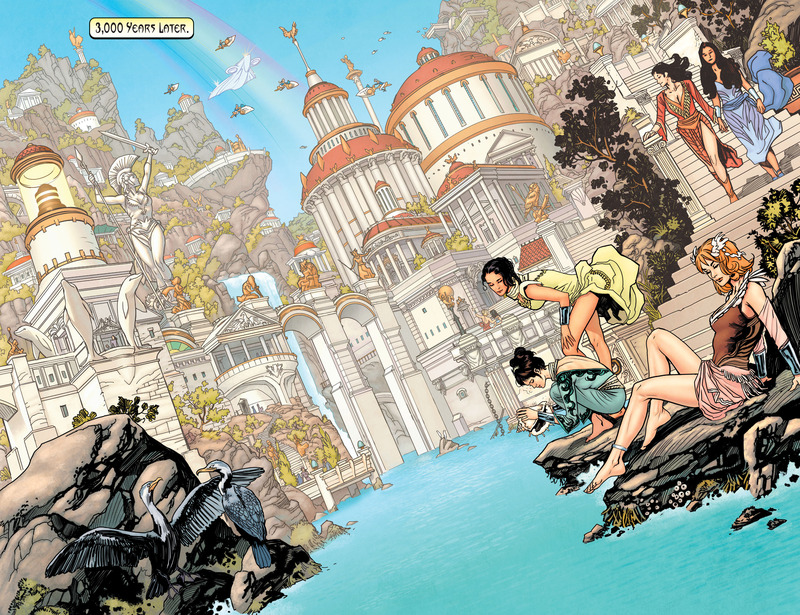 Wonder Woman: Earth One might already be the best-looking graphic novel of 2016. Wonder Woman: Earth One is the best of the Earth One books that have published, beating out even the much-loved Batman: Earth One volumes. Morrison handles the limited page count better than the other writers who have published books in the line, and successfully delivers a stunning superhero narrative that is fresh, compelling, utterly different from any other, and full of optimism, positivity, diversity, and celebratory depictions of non-heteronormative sexuality. It’s a must-read for anyone who loves Wonder Woman, the comics form, or has struggled with their own sexuality. Hell, give this to any bigots you might know, and they might change their mind. It’s that good.